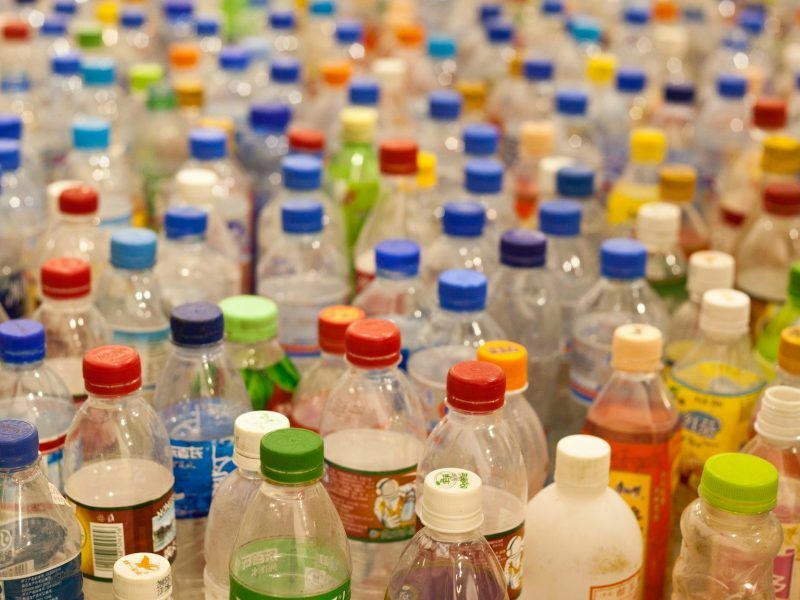 Plastics recycling is as much of a challenge as an opportunity for the circular economy. Michael Laermann looks at chemical recycling and whether it can make the plastics value chain more circular whilst providing a profitable new industry branch. Michael Laermann is a sustainability consultant, freelance editor and founder of Reason & Rhyme, a strategic consulting and communications firm. Around 25.8 million tonnes of plastic waste are generated in the EU every year. Less than 30% of it is getting collected for recycling. This is a significant loss of valuable resources to the economy, and with a huge cost to the environment. In Europe, amidst growing public concern, new regulation and voluntary pledges from the industry, the problem is that so little of the plastic that is collected actually gets turned into new material. In 2016, from the 72.7% collected waste only 31.1% actually got converted. This is mainly because mechanical recycling – shredding into resin pellets – only works for pure plastic types like PET bottles. Composite, dirty materials usually get incinerated. As a consequence, more than half of Europe’s plastic converters are running short on suitable waste. Producers that want to use recycled material for their products cannot rely on steady supply streams of quality feedstock. To tackle this situation, both lawmakers and the industry are taking a fresh look into chemical recycling. The technology itself is not new. It has been used to turn plastic into fuel for decades. What is new is the growing market demand for high-quality plastic recyclate, due to significantly higher targets for recycled plastic in packaging products and a heightened sense of corporate responsibility. For lawmakers the concern is to avoid “waste-to-fuel lock-ins”. The revised EU waste legislation states that plastic waste can be considered as recycled only if it is not subject to energy recovery and is reprocessed into new materials that are not to be used as fuels. This definition is technology neutral, but is complex when it comes to transforming plastics back into basic chemicals. The ultimate goal is nothing less than closing a gap in the waste management process to seize the benefits of a circular plastic economy. 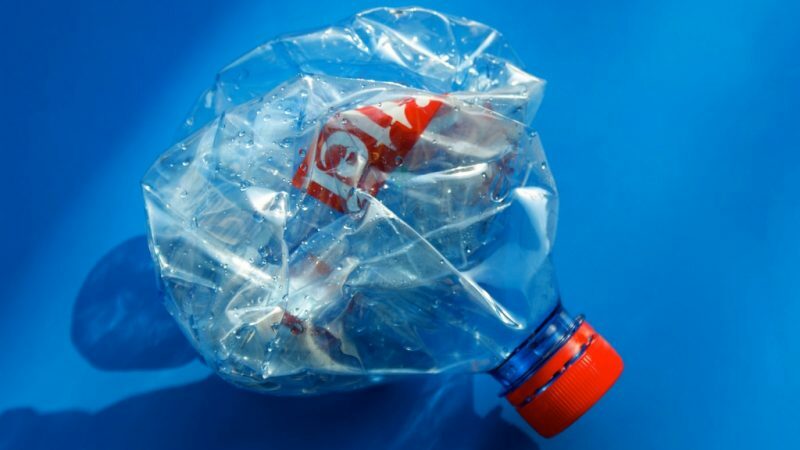 Depolymerisation turns mono plastic (like PET bottles) back into monomers, which can be re-polymerised into new PET-based products. Solvolysis (dissolution) is used to break down certain plastics like expanded polystyrene (EPS) into monomers with the aid of solvents. Pyrolysis converts mixed plastics into tar oil which can be cracked down and further refined for new plastics production. Gasification is able to process unsorted, uncleaned plastic waste and turn it into syngas, which can be used to build bigger building blocks for new polymers. The last two of these – pyrolysis and gasification – transform plastics, and most of their additives and contaminants into basic chemicals. In theory, any kind of plastic waste can be converted. To meet the same quality standards as primary feedstock, some pre-sorting of non-organic waste or purification of the output material may be necessary. If the resulting oil and gas are used for chemical production, the final plastic products will be identical to those produced from conventional feedstock. To this end, Air Liquide, Nouryon, Enerkem, Shell and the Port of Rotterdam are currently preparing a commercial-scale gasification facility to be operational in 2020. The objective is to produce syngas and methanol from organic waste that Nouryon would turn into chemical products. In addition to mixed plastic waste, the pilot plant will also be able to process biomass, diapers, rotten paper, and the likes. Chemical recycling through gasification still has a number of hurdles to jump before crossing the finish line. Firstly, gasification plants are built at larger scale than pyrolysis, which means that the initial hurdle for investment is particularly high. Next is the dependency on waste streams that imply logistical costs, followed by fluctuating flowrates and varying compositions the syngas has on the gas grid of a chemical production complex. Pyrolysis has its challenges, too. But due to their smaller scale, it has been easier for companies to keep some pilot facilities running. Even though pyrolysis is capable of handling any type of organic material, non-organic materials like metals, glass fibers, halogens and often PET need to be removed from the input stream, ideally before the process or through purification of the pyrolysis oil afterwards. Remaining non-organic pollutants represent a cost factor. This means that using ocean litter as an input material is not a viable option, also for additional factors like daunting logistics and massive water consumption for rinsing. But soon, even food-grade plastic could be commercially produced from pyrolysed plastic waste. At the end of 2018, BASF with several partners announced the development of refrigerator components, insulation panels and even mozzarella packaging that consist of polymers generated from such pyrolysed plastic waste. In this ChemCycling collaboration project, waste operators deliver mixed plastic to technology providers for the pyrolysis procedure. BASF then uses the generated naphtha to produce high-quality plastic material that downstream customers use in their final products. BASF project lead Stefan Gräter states that chemical recycling provides a valuable cleaning function in a circular economy resulting in secondary materials with “virgin” properties. Even under the optimistic assumption that packaging products could be re-designed to a large extent, contaminants and additives could be accumulated in the material over several mechanical recycling cycles and might lead to poor product performance or even health risks. “From this perspective, chemical recycling is a complementary option to established recycling and waste management processes”, Gräter argues. To bring it to an industrial scale, chemical recycling needs to strike a balance between economic viability, regulatory compliance, and environmental impact. When it comes to the latter, gasification of mixed plastic waste and pyrolysis of sorted plastics yield superior CO2 reduction scores than incineration with energy recovery, according to a recent study by the independent research and consultancy firm CE Delft. The true potential for chemical recycling to become profitable depends on the sufficient supply of suitable plastic feedstock, and the further development of pyrolysis and gasification technologies to produce high volumes of recyclates with consistent quality at a competitive price. So we can expect this debate to be a big one for Commissioner Vella’s successor, and for the next Commission as a whole. The plastics industry is changing fast, and the way our food and products are packaged could look totally different in just a few years. According to Ecopreneur, the future of chemical recycling should also depend on the CO2 emissions. Creating a circular economy at the expense of meeting the climate goals is not sustainable. Chemical recycling is typically using a lot of energy, and using fossil fuels as an energy source. Subsidies for developing recycling technologies should be restricted to processes that are CO2 neutral compared to virgin production, and to techniques using renewable energy (solar, wind etc).